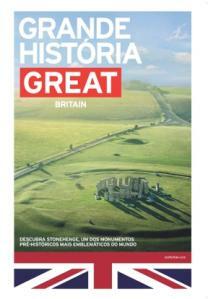 Britain’s Culture Secretary Jeremy Hunt launched VisitBritain’s largest ever image campaign last week. The £25 million image campaign will add to the £100 million match-funded tactical campaign already being run by VisitBritain with commercial partners such as British Airways, easyJet, Hilton Worldwide, Radisson Edwardian and STA Travel to deliver the agency’s biggest marketing push, with an aim to drive an extra 4.6 million visitors to the UK over the next four years, stimulating an additional £2.3 billion in international spend. The national tourism agency’s overseas advertising offensive will be seen across 14 major cities in nine key inbound tourism markets. The image blitz will run until March next year, with activity being undertaken in major cities in Australia, Brazil, Canada, China, France, Germany, India, Japan and the US. According to the agency, the campaign will show the world what makes the UK such a great place to visit at a time when high profile events such as the Queen’s Diamond Jubilee, Cultural Olympiad, Torch Relay and the London 2012 Games are taking place.